Today I wanted to talk about some fun name activities and printables for preschool and kindergarten students. I had previously posted about my learn to write your name activity booklet and you can read all about here in this post. But this week I have been busy drawing and updating it so that now the booklet includes a cute graphic on each page that can be colored. My kiddos were having fun working through it today. They are fairly competent at writing their names now but it was good practice. This booklet is great for preschoolers but it also is great practice for kindergarten students. In fact I have used this booklet during the first few weeks of Kindergarten when we work on name recognition. I would have the students come in find their booklet and then complete one practice page. It's a great start to the day and they quickly get into following this routine. Many students will come to Kindergarten unable to recognize their name nor print their name. Parents often ask me what can they do to prepare their preschool aged child for Kindergarten and I always recommend that they start by teaching them to recognize and print their name (as well as recognizing and printing the alphabet). It is such a useful building block to learn to read. Kids are typically motivated and interested in their name, which is why my kiddos write their name on EVERYTHING. By working with students names and then eventually their friends names, they soon realize that a string of letters put together can become a word. Then it is just a matter of learning to recognize those strings of letters as different words (sight words). I have also used this booklet as an intervention activity. Sometimes Kindergarten students or even Grade 1 students need a bit more practice. These books work great as an intervention activity as it is easily pulled out and ready to go. Parent volunteers and Educational Assistants can also work with a small group of students using these practice pages. Teachers could even send home this booklet as a homework activity. 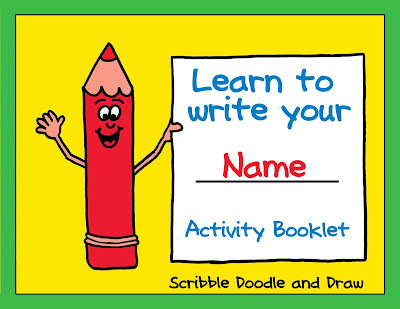 You find the learn to write your name booklet in my tpt store here. It is one of my bestsellers so if you have already purchased it please download it again (for free) to get the latest version. Happy Hooligans made this fun homemade name puzzle Click over to find out how. Ready-Set-Read! 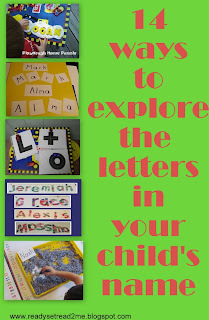 has shared 14 ways to explore the letters in names. 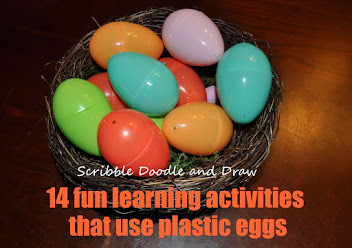 Fun a Day also has 15 different name activities posted. 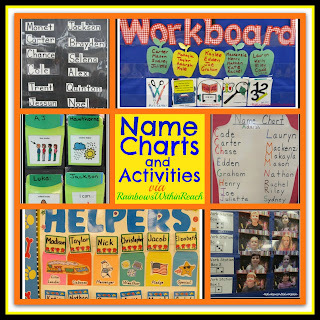 Hands On as we grow has posted 35 name activities. Rainbows within Reach shared a round up of Name charts and Activities. Thanks for linking to ready-set-read!! Your printable looks great and would be a great review at home before heading off the school! I love this idea! 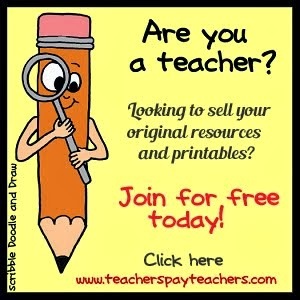 I'm saving one for me and pinning it on my Free Printables board! Great ideas! A very helpful resource! 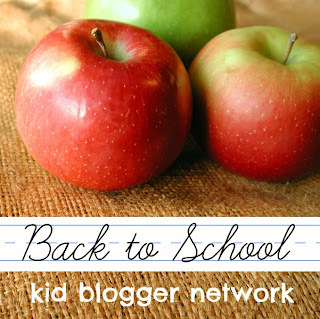 Thanks a bunch for sharing it on the KBN Back-to-School blog hop! Love this collection. 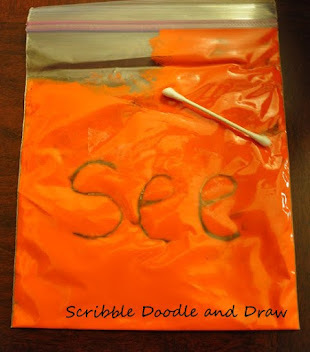 I am pinning now to my Activities for Preschoolers board so I can reference this year as I teach my 4 year old to write his name. Please give me some activities lists for children. I'll apply them on my new opened kindergarten. Help me please! All these Fun name activities. Thanks dear for this great share. You can teach preschoolers the all important things by using fun and interactive activities featured at kidsfront.com that is fun as well as full of excitement for them. 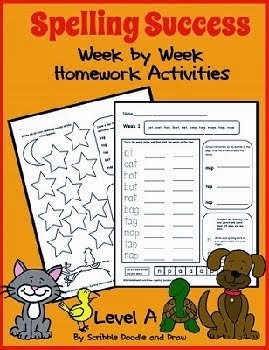 http://www.kidsfront.com/worksheets.html.